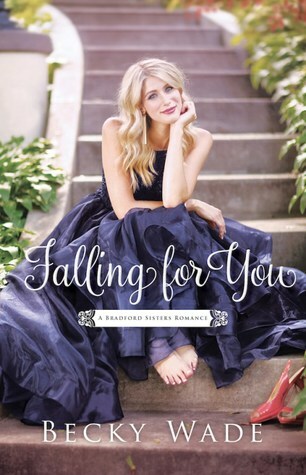 Falling for You (2018) by Becky Wade is the second book in the Bradford Sisters Romance series. This book is set to release on May 1, 2018 through Bethany House Publishers. It will come in all forms including eBook, and is 368 pages in length. With a full-time job, a very busy six-year old, and being in the process of moving into a new house, this book took me three days to read. I received a review copy of this novel in eBook form from Bethany House via NetGalley. In no way has this influenced my opinion of the book. The opinions expressed in this review are my own. I give this book 5+++ STARS. Falling for You is a Contemporary Christian Romance. The reader first meets Willow in True To You, book 1 of the Bradford Sisters Romance series. There is a party scene in True To You where Willow and Corbin see each other for the first time since their breakup four years prior. Clearly, the breakup did not go well because the tension between Willow and Corbin at this party is palpable. 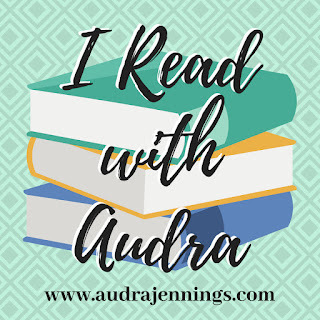 I can remember thinking, “How is Mrs. Wade going to pull off a love story between these two characters when their mutual dislike is so apparent?” The answer to my question is simple. The author will force them into a situation where they have to solve a missing persons cold case. BRILLIANT!!! I thoroughly enjoyed the mystery aspect to this novel. For me, having Willow and Corbin work together to solve a cold case made for a more rich reading experience. I loved how they were forced to interact with one another, and I love how they naturally fell back into friendship and love. Willow is my favorite character in Falling for You. She is lovely, and so perfectly crafted. I found myself really being able to relate to her. One thing Willow struggles with is the notion that as the eldest sibling she must always be the perfect, infallible example of a strong Christian woman. Mistakes are not an option and rules must always be followed to a T. No human on earth, except for Jesus, can be perfect and infallible. It’s just not possible. But, when this expectation is thrust upon you from birth, you tend to internalize this idea of perfection and a voice in your head screams at you daily that if you make a mistake you are the lowest form of human and you have just let down your parents, teachers, friends, neighbors, community, the President of every nation, and God. It’s a tough thing being the first born in a family. There are just so many expectations placed on us. I easily relate to Willow when she discusses being the oldest sister, being the role model, looking perfect for everyone so no one is disappointed. I also relate to Willow’s desire to want to hide things about herself from those she loves. I often want to hide the mistakes I make because the idea of disappointing my mom, my brothers, my husband, my daughter, my friends, or God still kills my soul to this day. The struggle is real for us first-born kiddos!!! LOL! Another aspect that I LOVED about this book is its fantastic message on forgiveness. The notion of forgiveness — especially self-forgiveness — is very difficult for Willow (and for me). Logically, forgiveness makes sense, but emotionally it tends to be a rather foreign concept. In Sunday school and church, the idea of forgiveness is easy. But in real life, when the heart hurts, it’s really hard to overcome those hurt feelings and the insecurities caused by those hurt feelings in order to forgive. For true healing to occur though it is paramount that we get to that place where we can forgive on the emotional/heart level. Otherwise, the bad feelings never go away. The only way I have ever been able to conquer the hurt and forgive properly — whether it’s forgiving someone else or myself — is by going to God first. God gives us the power to forgive for real! There are like 700 more amazing things to discuss about this story. But, I don’t want to ruin a second for any future readers. Suffice it to say, I absolutely adored Falling for You, and I am SO sad my time with this book is over. This is a story that will stick with me for a long while. If you are looking for a wonderfully written, highly engaging, and fast-paced story than I highly recommend Falling for You. Run to your nearest bookstore on May 1 and pick up a copy of this stellar novel. You won’t want to miss this one. I am so excited for Britt’s story!! !